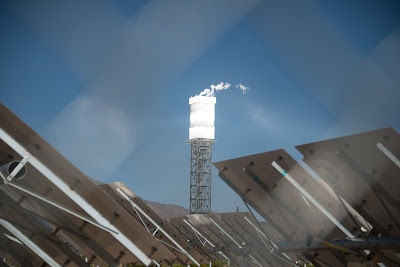 Biologists estimate that as many as 1,314 birds died at the Ivanpah Solar Electric Generating System (ISEGS) - a solar power tower project that also burns natural gas - from 25 May to 17 August 2015 based on partial searches of the sprawling facility. Many of the birds died from collision with giant mirrors or after flying through zones of intense heat above the project. The deaths last summer are in addition to thousands of others caused by the project since it was constructed. During last summer at least two birds - a peregrine falcon and common raven - were severely burned by the project but still managed to fly close to the project's outer edge before dying, again suggesting that the study may underestimate the number of birds burned in the air space above the field of mirrors. The peregrine falcon was found in July and euthanized in September; the raven was found already dead.